KCA was selected by Flagler County for the Design of Graham Swamp Trail and Pedestrian Trail Bridge over SR 100 project! 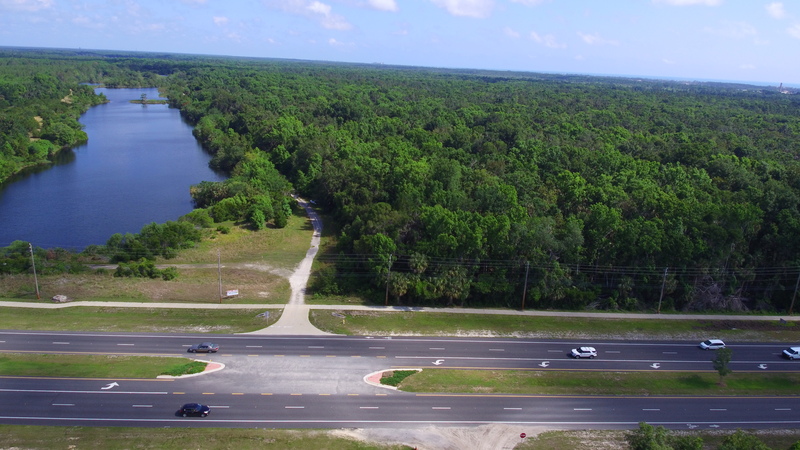 KCA was selected by Flagler County to design a multi-use trail connecting the existing Lehigh Trail with SR 100 through the Graham Swamp. The KCA team proposed an innovative approach for establishing the proposed trail alignment through sensitive conservation lands. KCA’s approach will begin with a desktop GIS analysis to evaluate topography, subsurface soil conditions, sensitive vegetation, and wetlands to set an initial trail corridor. The GIS evaluation will focus on minimizing environmental impacts and optimizing trail constructability. The desktop study will be supplemented with on-site evaluations by KCA staff to minimize impacts to old growth trees and wetlands to set the final alignment. These efforts will streamline permitting efforts with regulatory agencies and provide access for trail users through a pristine natural environment. This project will also require the design of an Americans with Disabilities Act (ADA)-compliant trail bridge spanning SR 100. KCA will use their extensive staff knowledge of pedestrian bridge design to develop signature architectural concepts to be evaluated in public workshops and approved by the Flagler County Board of County Commissioners. Final design of the bridge will emphasize functionality for the user, construction economy, constructability, and long-term durability. Final construction documents will be prepared upon determination of the trail alignment and approved bridge concept. Congratulations to the pursuit team including Mark Easley; Kevin Tasillo, PE; Tracey Sansone; Tom Shaw, PE; Roger Rossitto, PE; and Simon Hagedoorn, PE, for developing the winning technical approach and their efforts preparing for the presentation.